You might have a WordPress website already or you might be completely new to WordPress but since you’re reading this, I assume that you’re not quite happy with your website situation right now and you’re looking to create a fully functioning, simple, but good looking free portfolio website for yourself. If that’s true then you have come to the right spot, because this is a complete setup guide for beginners that will help you create a personal online portfolio website without spending a dime! Click here to see the final result of this guide. It’s a live portfolio website that I’ll help you create by guiding you every step of the way. Looks nice, doesn’t it? And it’s using a free theme and portfolio plugin! Since this is written in a step by step tutorial style, I would encourage you to not only read it but do the steps with me and by the end of this article, you will have a stylish website of your own! What do I need before going further? If you have these already, you’re all set to go. If you’re missing any of those parts, check out our “How to set up your Web Hosting & Domain name” tutorial now! 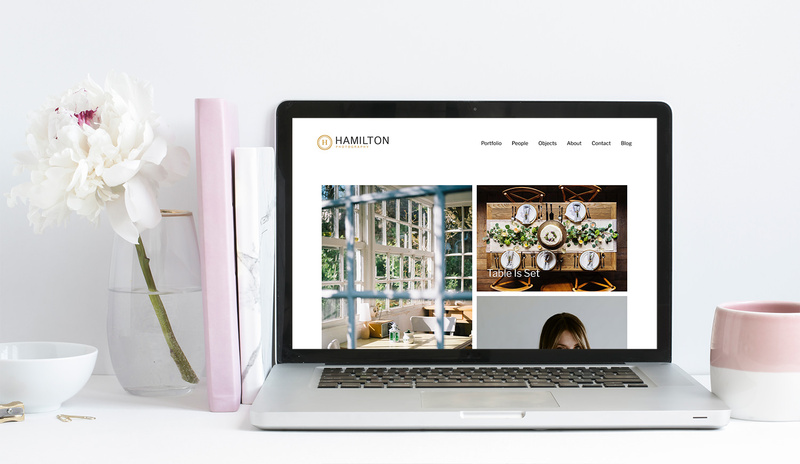 For this tutorial, we will use a Child Theme called Minimalist and that is based on the beautiful WordPress theme – Hamilton. A child theme is a WordPress theme that inherits its look and functionality from another theme – the parent theme. 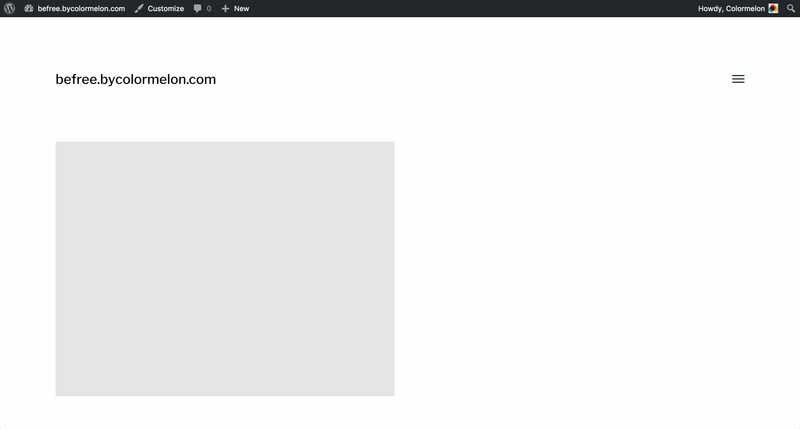 We made “Minimalist Portfolio” theme specially for this tutorial and you can download it here. Why use a child theme instead of the original one? A child theme is used when you want to add custom tweaks to your website without losing the ability to upgrade the theme in the future. In this case, our Minimalist Portfolio theme has some extra styling for the portfolio that we’re going to create. The first thing we need to do is install our free Hamilton child theme. If you haven’t already, click here to download Minimalist theme. Now go to go to Appearance > Themes. Click on the “Add New” button and then click on “Upload Theme” button. Locate your “minimalist-portfolio.zip” file you just downloaded (look in your Downloads folder) and upload it. When uploading is done, click on “Activate”. 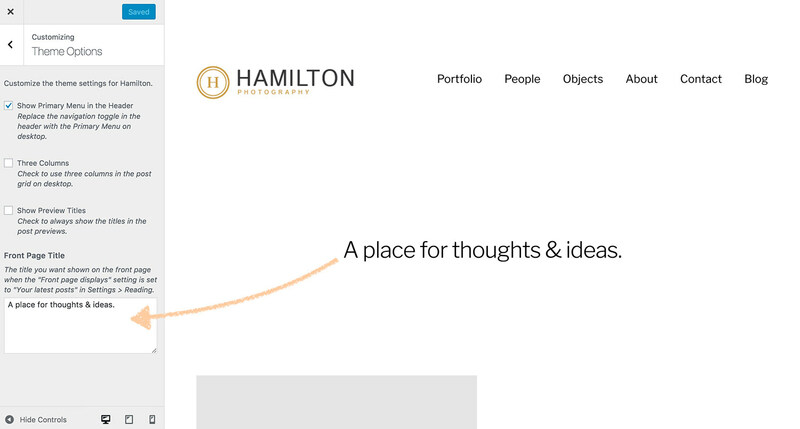 You now have an active installation of two themes – Minimalist Portfolio and Hamilton theme. 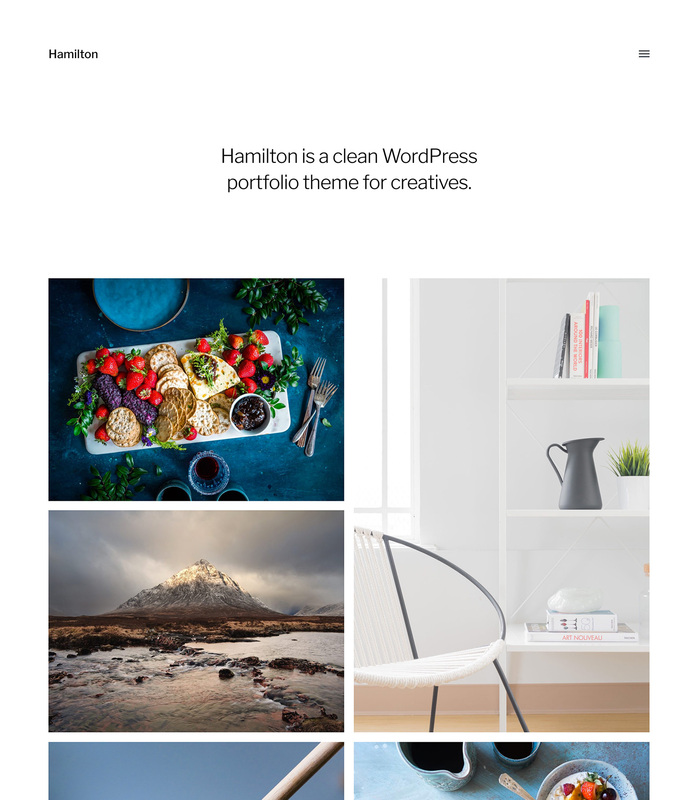 You need both of these themes because one will be responsible for the overall design (Hamilton) and the other will be responsible for the portfolio part of the design (Minimalist Portfolio). Right now your site is completely empty. You can see it “live” if you open a new browser tab and type your website address in the URL field. Let’s make this website feel like it’s ours even if we don’t have any content in it yet. We’ll start by uploading our logo (or at least by changing the name of the site) and by adding copyright information in the footer area. To upload your own logo, go to Appearance > Customize and click on the “Site Identity” tab. Your logo file size should be 100 px high. The logo itself can be even smaller than that and centered in that 100 pixels high file. If you don’t have a logo of your own you can either change the Site Title to your business name or you can download a free logo template from our 100 free photography logo templates section. Your copyright information is located in the footer and you can change it by writing your preferred text in the site title field, just below the logo upload area. In order to get organized, we need to write down our website structure before we start to build it. My portfolio will be my homepage because I want people to see my work as soon as they enter my website. Then I will group all my galleries in two categories called “People” and “Objects”. These categories will be placed in the navigation area and will serve as filters for my portfolio so that if someone wants to see only my People galleries, instead of browsing the whole portfolio page, they can go to“People” and only those galleries will be shown on that page. If you’re specializing in wedding and couple photography, instead of “People” and “Objects” you could do “Weddings” and “Couples”. Or you could skip the whole category part and just have one portfolio page. 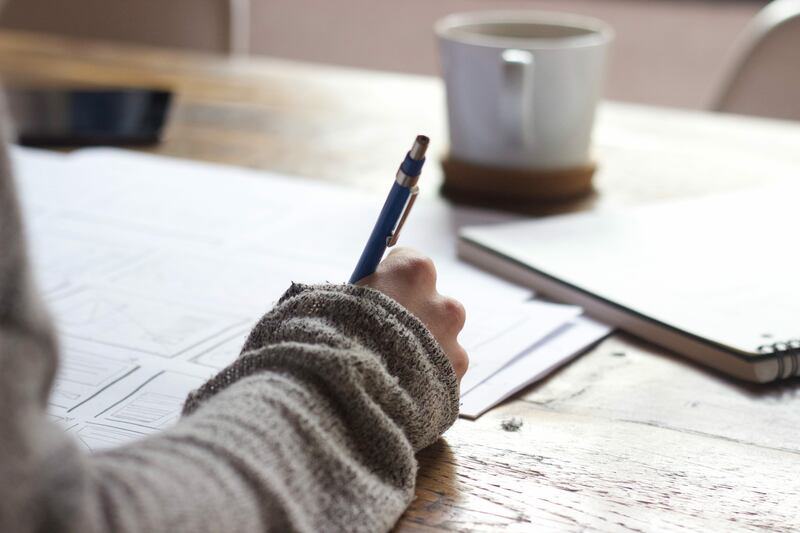 No matter what you choose, it’s important to write down your website structure before you start building the site. Doing the planning part beforehand will save time and effort later on. There a couple of design decisions that you should make before you start to populate your site with content. You will be able to come back to them later on as well, but I would like you to get familiar with your theme and consider them now because they might affect your choices later on. Site color – will your site background be light or dark? 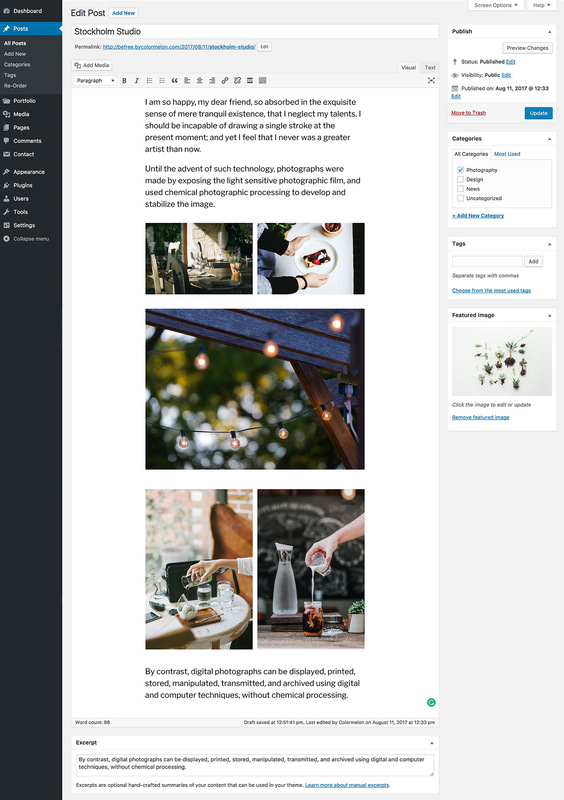 Blog layout – should your blog layout be in 3 columns or 2? All of these things can be tested and changed by going to Appearance > Customize. You will find your menu and blog column count options under “Theme Options” tab and your color options will be under the “Colors” tab. For this demo site, I chose to have my menu open, site background color light and stick to the 2 column layout for my blog. We will start with the most important and fun part which is our portfolio page! Right now our WordPress theme has only blog posts and pages, we will have to install a plugin that will give us the ability to create a portfolio. We will do that by going to Plugins > Add New. In the search bar area type in “Easy photography portfolio”. Click on the “Install Now” button and wait for it to install. Then click the “Activate” button. 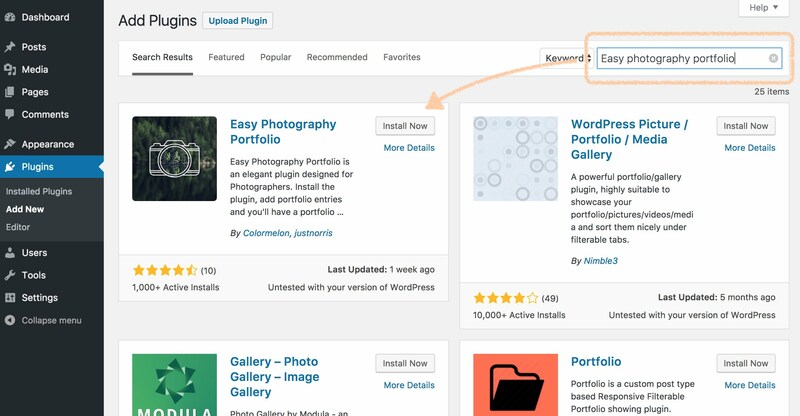 As soon as the plugin is activated, you will have a new section in your dashboard – Portfolio. Just like you go to Pages to create a new page for your website, you will go to Portfolio whenever you’ll need to create new portfolio galleries or manage your existing ones! Before we start creating our portfolio entries, we need to add our portfolio to our menu, so that we can access it from our website. We do that by going to Appearance > Menus. Currently, there is no menu, so we need to create one. In the “Menu Name” area type MENU and click on the “Create Menu” button. In the pages section, you will see a page called “Portfolio”. It was created automatically when you installed the Easy Photography Portfolio Plugin. 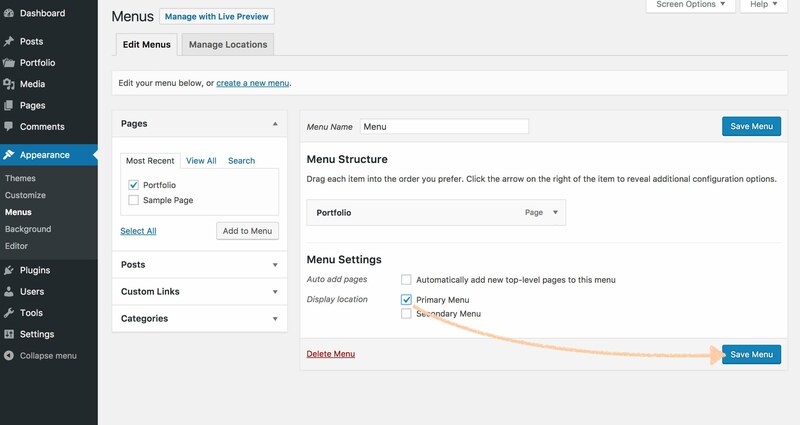 Select that Portfolio page and click on the “Add to Menu” button to add it to your menu. We want our menu to show up on our site so tick the Primary Menu check box and then click on the “Save Menu” button. As I mentioned before, I chose to set my menu to be visible in the header area. You can change how your menu is displayed by going to Appearance > Customize > Theme Options. 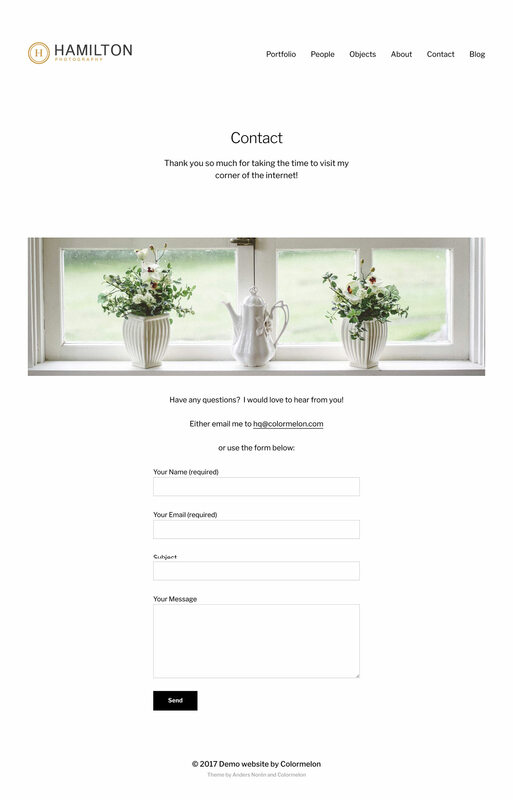 Right now my website home page displays my blog post sample, but in the planning phase, I decided that my website front page should be my portfolio, so I need to make that happen now. Go to Settings > Reading. Select your Portfolio as your Front page and click the “Save Changes” button. Now that all the preparation work is finally done, we can start uploading our images. Go to Portfolio > All Entries. As you’ll see, there is one portfolio entry that was created for you automatically. You can either delete it and create a new one by going to Portfolio > New Portfolio Entry. Or you can open this one and replace the existing content with your own. I’m going to delete this one and start fresh by going to Portfolio > New Portfolio Entry. If you need more instructions on how exactly does this portfolio plugin work, take a moment and watch this video. When uploading your images, make sure you always prepare your them for web before uploading. We have discussed both the best image sizes for your portfolio and how to optimize your images for speed in our other articles, so make sure you skim trough them. Go ahead and create a couple of galleries for your portfolio now. Don’t worry about the gallery order, I’ll show you how to re-arrange them later on! I created 12 galleries for my portfolio page. You can see them all live here. To change the order of your portfolio galleries, we will need to install a plugin that will help us with that. Go to Plugins > Add New and in the search field type in “Post Types Order”. Install and activate this plugin and then go to Settings > Post Types Order and simply click on the “Save Changes” button to make it work. Go back to Portfolio > All Entries. Now simply drag-and-drop your portfolio entries around to create a new order! Now our portfolio page is ready! Wasn’t that hard, wasn’t it?! 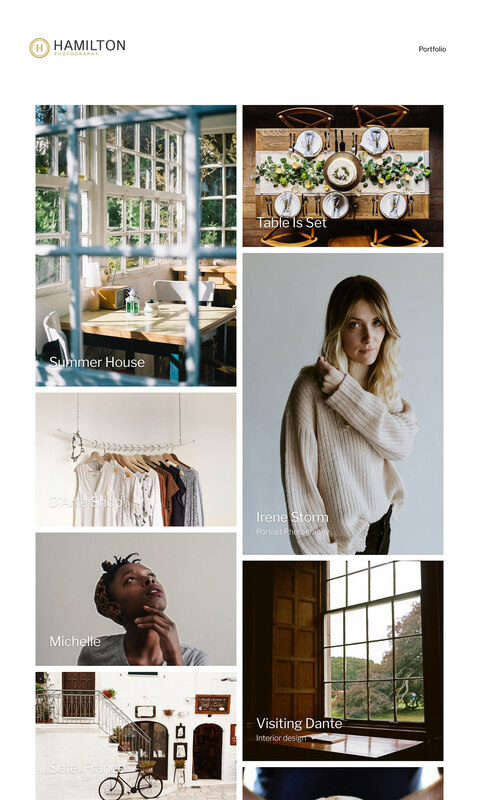 Back in the planning phase, I decided that my whole portfolio will be my home page and then I’ll have 2 separate portfolio pages – one would show only my “Objects” photography and other – “People” photography. You can, of course, skip this part if it’s not relevant to you, but here’s how you can quickly add your portfolio categories to your menu. While I was creating my portfolio galleries, I assigned each gallery to either “People” or “Objects” categories. 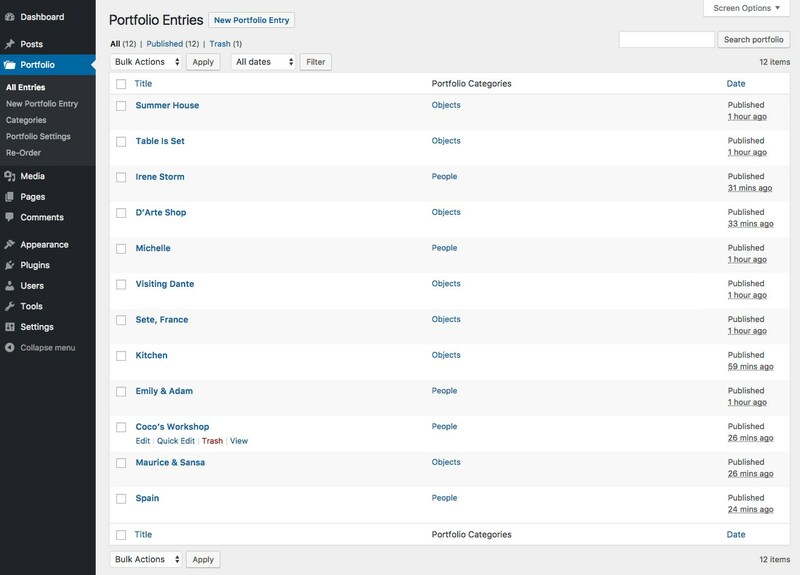 If you didn’t do this, you can open up each portfolio entry and assign a specific category to each one of them. Now that you assigned your categories to your entries, go to Appearance > Menus. Click on the “Screen Options” button and activate Portfolio Categories. Select the necessary portfolio categories and add them to your menu. Then click the “Save Menu” button. Now your navigation area has a portfolio page and your category pages. It’s time to grab a cup of tea because we’re about to do some creative writing! An About page is an important part of any personal website because even though your pictures might be great, people visiting your site will want to know who’s behind all that work. Write in your own voice. Don’t write in the 3rd person. No need to overdo it – around 300 words are plenty enough. To create the About page (or any other page) go to Pages > Add New and start writing! Make your text easy to read and pleasant to look at. Use captions when appropriate. Have a favorite quote? Add it and make use of Hamilton theme’s beautiful styling options. Good job so far – we’re more than half done already! Next, we’re going to create a contact page with a working contact form and some information. I want to add a short greeting text just below the page name. We can do that by typing it in the “Excerpt” field. If you don’t see your Excerpt field, click on the “Screen options” button in the top right corner of your screen and activate “Excerpt”. In order to add some visual interest to the contact page, upload an image in the Featured Image area. Write some text in the content area. Be short and concise. Add your email address and any other relevant information. Go to Contact > Add New. 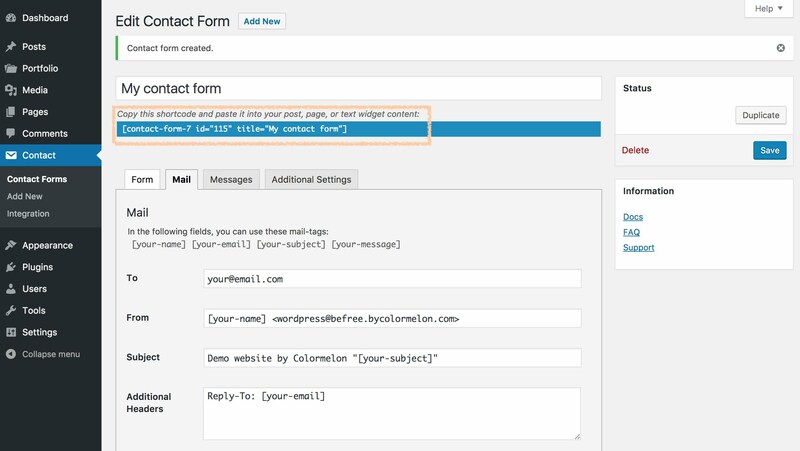 Automatically a new contact form will be generated for you. Your task here is to give this form a name so that you can find it in the future. I called mine “My contact form”. Switch to the Mail tab. Add your email address in the “To” field. All messages from your website contact form will go to that email address. Click the “Save” button. 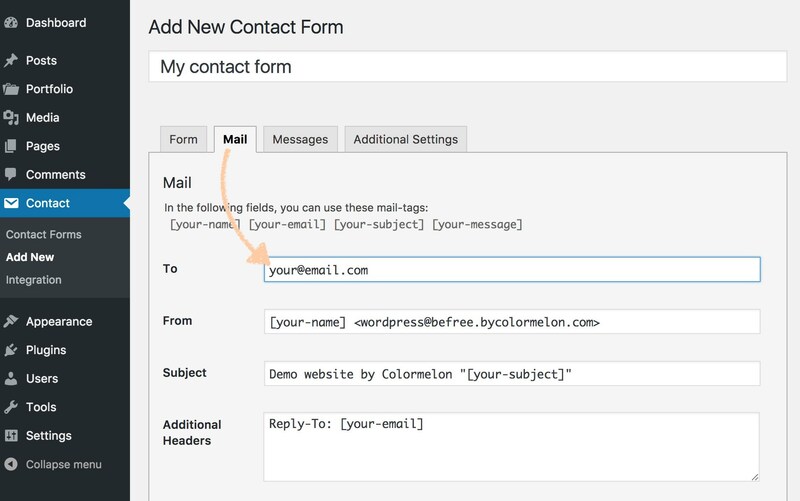 A contact form shortcode will be automatically generated for you. Go back to your Contact page and paste this shortcode where you want your contact form to appear. And now you have a beautiful and functional contact page ready to go! The last thing you need to do is add it to your menu and I trust that by now you already know exactly how to do that! your blog can serve as a showcase area for your photography projects. I understand that you won’t go and create a bunch of posts here and now but consider creating at least a “Welcome to my new website” or “My most recent photo shoot” post to get you going. Before we do any post writing, we need to create a blog page first. Create a new page and call it Blog. You don’t need to write anything in the content area. 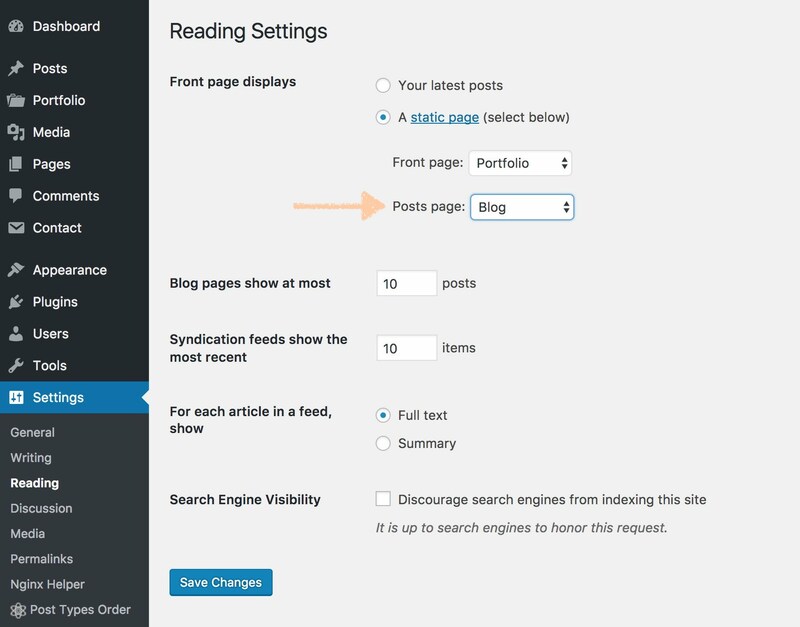 Go to Settings > Reading and in the Posts page area select your Blog page. 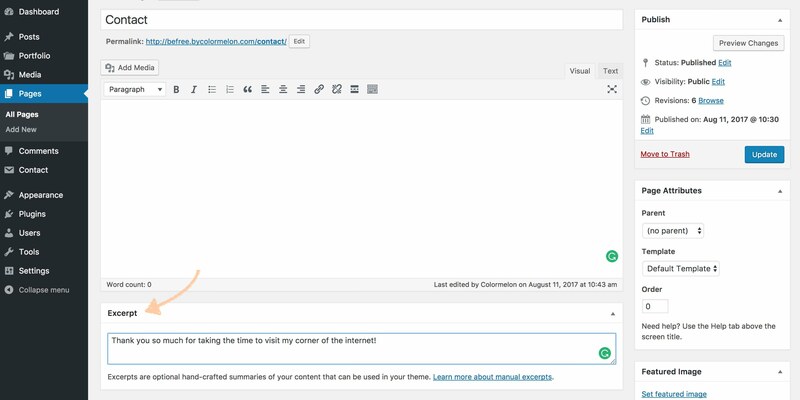 If you want to have a short greeting text for your blog page, you can add it by going to Appearance > Customize and click on the “Theme Options” tab. Write your text in the “Front Page Title” area. This text will show up on your blog page. You write posts by going to Posts > Add New. Your post content goes in the Text area and your post cover image has to be uploaded in the Featured Image area (just like you did for your portfolio galleries). 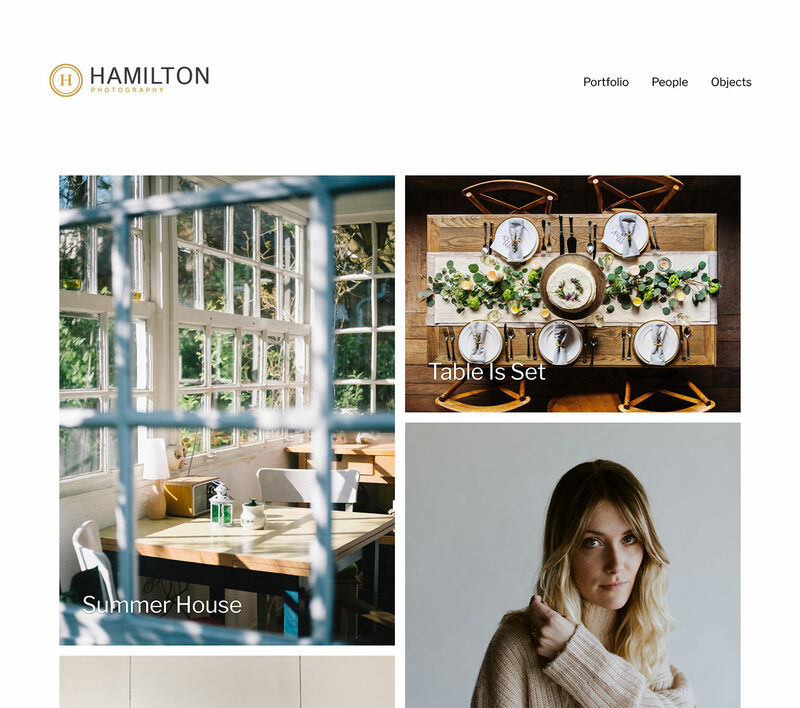 If you plan to add any images inside your posts, make use of Hamilton’s beautiful gallery styles. You can see examples and instructions in the Hamilton theme demo here. 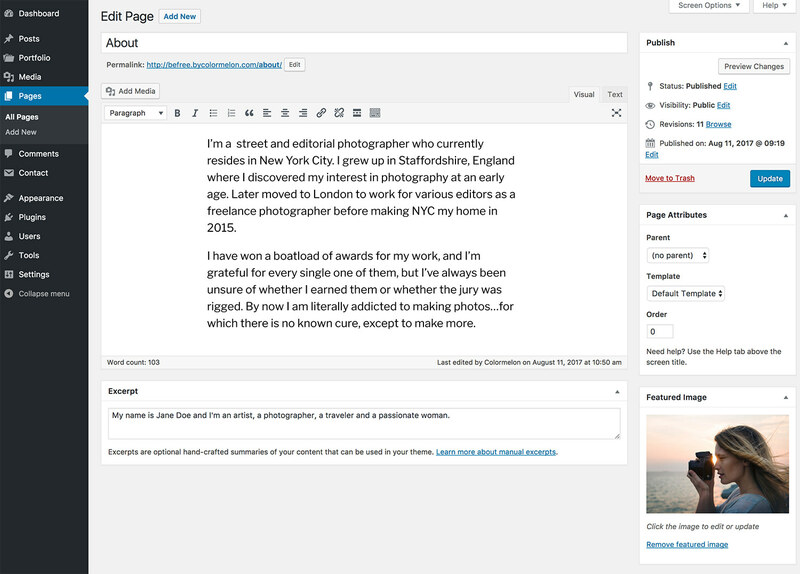 Here’s a screenshot of how one of my blog posts look from the admin panel side. The important thing here is to be creative, experiment and create. We just created our free portfolio website and if you followed through this far – you are awesome! In this last part, I just want to mention a couple of plugins and actions you might want to take in order to give your new website that final polish. A favicon is a little icon associated with your website and displayed in the browser tab. You can upload a favicon by going to Appearance > Customize > Site Identity and upload it in the Favicon area. It should be simple enough to work in very small sizes. I chose to use the icon from the size logo as my favicon. If your website has photography or any other work that you would like to protect and discourage people from simply right-click > Save As.. on your work, you can install our free image protection plugin that disables right-clicking on your images. It’s called Photection and you can read more about protecting your images here. If you’re looking for a website design that is more advanced than the one in this article, we specialize in premium photography website designs so check them out. 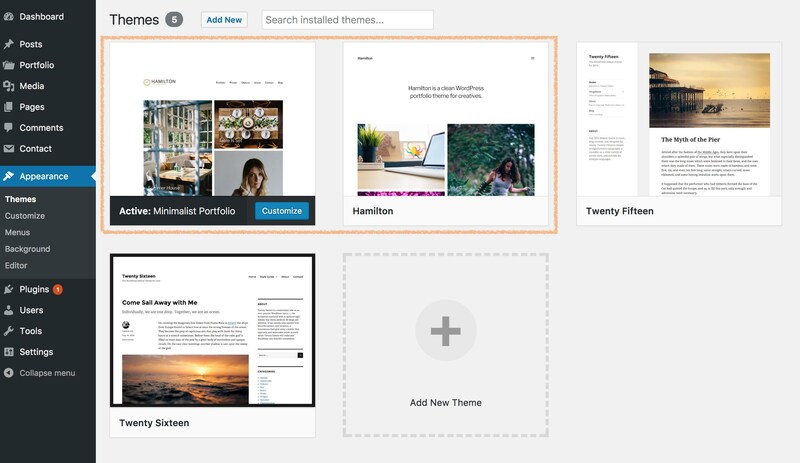 The setup process for our premium themes is very similar to the process described in this guide yet design wise you’ll get a more advanced and professional website and access to our support forums where we can get help one-on-one! When everything and everyone is online, a personal website is a necessity for every creative. I truly hope that this guide helped you with designing a nice, cozy corner of the internet for yourself. If you followed this guide and if it helped you in any way, please share your website in the comments, we would love to visit! We are very happy that so many of you enjoyed this tutorial and managed to create your own website with the Minimalist theme! If you have any questions about the theme or are having trouble making something work properly, please go to THE OFFICIAL MINIMALIST THEME FORUM. Right now the comment area of this post is getting a bit crowded so I assure you that you will get your answers faster if you go to the forum instead. Thanks! Is it possible to display the portfolio categories in the home page instead? And to assign a photo to each category? Glad you like the tutorial! No, unfortunately, Easy Photography Portfolio plugin that we’re using here doesn’t have an option to have category thumbnails on your front page. I think you could try and “hack it” by being clever though. What I would try is create a new page and place a couple of images in it. Each image would represent 1 category (maybe photoshop the category name on top of the image.) Then I would link each image to the corresponding category page. First of all, thank you for this great article ! I love the way I can create portfolio now, as I’m a photographer. But I have a little issue : I created a portfolio without a name but with the category “journal”. With the url, I made a page named “journal” in my menu from this portfolio. In this one, I publish my daily work. But, the thing is this “journal” portfolio appears in the page ” Portfolio ” with the others, and I don’t want that, as I’d like for this one to appears only in the page “journal” I created in the menu. Could you help me please ? Is this possible to create a portfolio that doesn’t appear in the page “Portfolio” ? 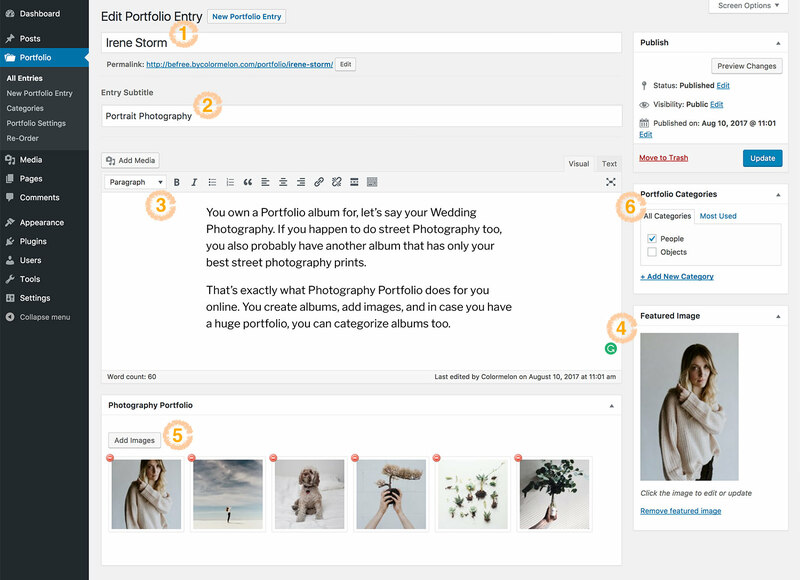 Create 2 portfolio categories for your galleries – 1 would be “journal” and the other would be “work”. Assign all your galleries (except the Journal gallery) to “work”. Now go to Appearance > Menu. On the top right side of your screen, you will see a button called “Screen options”. Click on it and activate “Portfolio Categories”. A new tab will show up on the left side of the screen called “Portfolio Categories”. Toggle it open and add “Work” category to your menu. Then remove “portfolio” from your menu since you don’t want all your galleries to show up there. You can even rename the “Work” category and call it Portfolio but this time only galleries with Work category will show up on this page. Hope you understood what I’m saying here! Thank you for the great theme. I’m on my way to upload images now, you can check my website if you want. I was just wondering is there a way to add social icons to the header? 1. If you choose the hamburger menu (hidden behind a button), you can go to Appearance > Menu, create a new Menu and assign it to “Secondary Menu”. Then add all your social links as “Custom links” in this menu. 2. Install any social icon plugin you like and add then add them to your About and Contact pages! Hello, Thank you for a great theme! Is there a way to edit the ‘View Gallery’ text in each of the item of portfolio? Create a new support topic there! Is it possible to make the menu smaller? You’re welcome! Minimalist theme doesn’t have a widget area like some other themes, but you can add widgets in pages and at the end of your posts if you want to. 2. you will see an Arbitrary area there. If you place any widget inside that area, a shortcode will be generated. Paste that shortcode in any page or post and in that place your widget will appear. Thank you so much for your tutorial it was really helpful! I’m kinda having a bit of problem when I go to my Settings -> Reading -> Homepage Displays -> Static Page, on my Homepage I can’t seem to see Portfolio from the choices even if I already downloaded the Easy Photography Portfolio plug-in and made a new portfolio entry. I can only see About and Contact pages I just made. What can I do to fix this issue? I double checked and Portfolio Page was not automatically added to my Pages when I installed the Easy Photography Portfolio plug in..
As you already figured out – the plugin didn’t create a portfolio page for you (will look into this). Anyways, to fix it, you would need to go to Pages > Add New, create a page called Portfolio. Then you would go to Portfolio > Portfolio Settings and assign your new portfolio page to “Portfolio Home Page” because you will want all your portfolio entries to show up on this page. 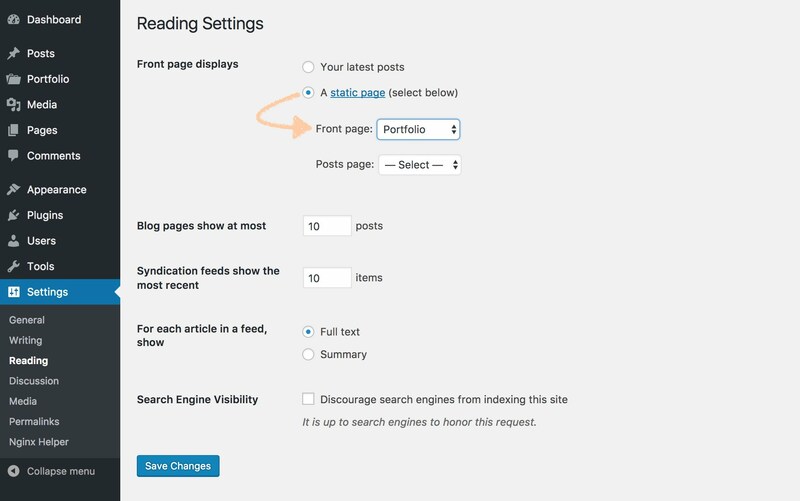 When that’s all done, you can go to Settings > Reading and assign your Portfolio to your Homepage! Hi! Im setting up my portfolio. I first installed Hamilton as my theme, and now I use Minimalist as my childtheme. There is only one problem. In Hamilton the frontpage has 3 columns, and Minimalist doesn’t seem to copy this. The 3 column box in the customiser is checked.. How do I fix this? Great theme btw! Any update abour the 3 columns in Minimalist Portfolio theme? No, not at the moments, sorry. The page you’re looking for could not be found. It may have been removed, renamed, or maybe it didn’t exist in the first place.”. I´ve tried to find out what the problem is, but nothing works, any idea of what might be the problem? Thank you very much for this tutorial. I helps a lot for beginners like me. I was just wondering how you’re able to put the pictures side by side in the blog post?? I can’t seem to do it properly..
Do you mean like in this post example? You do that by using galleries. In your blog post, click on the “Add Media” button to add images. On the left side of the panel, you will see “Create Gallery” link. Click on it and now select 2 images (they should be the same height). Click on the “Create a new gallery” button and now, on the right side of the panel, select 2 columns and size “large”. Now, these 2 images will appear side by side. If you want to create more complex layouts, like in the post I showed you, stack multiple galleries on top of each other. For example in that post I have 1 gallery with 2 column, under it I have 1 gallery with 1 column and then 1 gallery with 2 columns again. Thank you for your great free theme at first. Just ‘Sample page’ and ‘Contact’ page are there. For some reason, the plugin didn’t create a portfolio page for you (will look into this). But that’s ok, to fix it, you need to go to Pages > Add New, create a page called Portfolio. Then go to Portfolio > Portfolio Settings and assign your new portfolio page to “Portfolio Home Page” because you will want all your portfolio entries to show up on this page. This theme was so great to use and the tutorial made setting it up a breeze! 1. How to change the font of my text. 2. How to make the photos in my galleries bigger. They are 2 across but there’s so much white space on each side. 3. How to center my pricing sheets. 4. How to expand the text on all my main pages to fill more of the white space on the page. 5. How to make the URL http://www.detailsphotography.ca go directly to the Home page. Since your questions are on the technical side and most of them will need some code editing, I’ll ask you to go to the Minimalist theme support forum – https://wordpress.org/support/theme/minimalist-portfolio where you’ll be able to get in touch with Norris (the developer). I installed everything correctly (yay! ), but now I don’t see an “upload” button whatsoever in the box where you have to put your photo’s while creating a portfolio enty. It just shows me an empty box, no button to get to the upload screen. Could you possibly help me? I’ve got a problem with the plugin… After the install, the plugin didn’t create an automatically portfolio page. I go to Pages > Add New, and create a page called Portfolio. Then go to Portfolio Settings and I can´t assign my new PORTFOLIO PAGE to “Portfolio Home Page” because it doesn´t exist. I only have the option “NONE” on the list. Then when I go to the reading settings it doesn`t appear the option assign Portfolio to your Homepage! I don’t know if it’s a problem about the wordpress configuration, but when I installed and activated theme “Minimalist Portfolio”, this theme didn’t create an automatically page “sample page”. Can you create a Portfolio page with some text and visit your site to make sure that page is there at all? Sound like you have trouble creating a WordPress. If the page would be there – the plugin would allow you to select it. Hi! How can we remove the section for “Leave a Reply”? There are a couple of ways you can disable comments in your blog posts and pages. This article goes through them all, so check it out. A BIIIG thanks for this! Very clear and intuitive guide. And a very nice theme. Couldn’t wish for more. You can install the WooCommerce plugin for e-commerce. I love this theme , thank you! I have followed your great tutorial but I have one question. I see you don’t have place for the social media widgets on the homepage. I installed simple social as you suggested somewhere but please can you advise me on how to make them appear on the static homepage or “float on the side”? This is a bit technical so you will need to chat with the theme programmer. Go to Minimalist theme support forum and create a new topic there. Hi, I’d like to add a social media follow me icons to the bottom of the home page. But I’ve got the Portfolio as my home page. As you can see in the demo, the theme doesn’t have a social icon area. I’d suggest that you go to Minimalist support forum and create a new support topic there. Suggest your idea and if other users like it as well, the developer might add it to the theme. Thank you for the great theme and tutorial! I only have one issue: If I go to “Customize” > “Theme Options” and check the box “Show Primary Menu in Header” nothing happens . Is there another way to have the menu displayed in the header? Go to Appearance > Menus, make sure you have a couple of pages in your menu and check the “Primary Menu” checkbox. If you need any more help with the theme setup, go to Minimalist support forum and create a new topic there! I think I’ve got the same issue as you. When I check the box “Show Primary Menu in Header” the drop-down menu disappears but the menu doesn’t appear in the Header and there is no longer any way of accessing the menu for the viewer. Were you able to find a way to fix the issue? Hi there, working on getting my site all together. I was wondering if there is a way to get rid of the site title as a header on the page. I would rather not have a large “Home” on my home page. I don’t know if it is a simple fix that I just can’t figure out or what. I noticed it is not on the demo screenshots so I’m assuming there is just something I am missing. Thank you! Is your portfolio your homepage? If yes, then go to Portfolio > Portfolio Settings and set “Show Archive Titles & Descriptions” to Disable. Thank you for this theme. I do have a question. On the portfolio page, when I hover over the featured image, the gray box that appears is larger than the size of my image. How do I fix this? You will have to go to the support forum for this one – https://wordpress.org/support/theme/minimalist-portfolio Create a new support topic there! Thanks for this great and simple tutorial! I have the same issue as Tiffany explained. Portfolio is my static homepage, but I would prefer to see only the pictures on my homepage, and not a ‘Portfolio’ heading, just how it is with the Minimalist example website. I changed Portfolio>Portfolio settings ‘Show active titles and descriptions’ to Disable, but this does not do the trick. Any other suggestions how to change this? Thanks! please go to the official support forum and create a new support topic there. Hey. Thank you for this manual. I want to know if there is a chance to get the gap between the portfolio title and the menu on the home page smaller. I just followed your tutorial and am impressed with how easy it is. I wanted to try out the contact form, so (in the adminsite) I sent myself a message. However, it never arrived in my inbox. Could that be because I’m working in MAMP? And my website isn’t live yet? So glad to hear that you liked our tutorial! I love the style of this site but I’m having real trouble as I was trying to switch from a previous theme. I can’t seem to get my galleries to show on the Portfolio page – in fact the portfolio page didn’t load upon plugin instal. Can you help? I have trashed most of my original content to start afresh but I just can’t get this to work? It would be better if you would go to our support forum for this. I have the same issue as Tiffany and Manon. Portfolio is my static homepage, but I would prefer to see only the pictures on my homepage, and not a ‘Portfolio’ heading, just how it is with the Minimalist example website. I changed Portfolio>Portfolio settings ‘Show active titles and descriptions’ to Disable, but this does not do the trick. Any other suggestions how to change this? Does anyone from the development side answer these questions? I am struggling to get answers, and its a little frustrating. Hi i love this theme. Is there a way to reduce the space between the header and the text within each page? In order to do that, you will have to modify the parent theme – go to Hamilton support forum and create a new support topic there. Is The Minimalist site a responsive one? That is, does it automatically conform to the devices or browser window size in which it is being viewed? Thank you for such a wonderful theme. Is there a way to update (adding photos) to Portfolio Entry using a mobile device? e.g. WordPress Mobile App? or something else? I would like to add photos that I snap on my mobile to my gallery. The first time I see a waouwww how-to explanation on a wp theme installation… Many thanks for that. I have just built my website with your instructions, I am facing a little bug when showing the portfolio. The first time the portfolio is displayed (4 galleries in it, 2 columns), there is a bigger space between the 2 pictures on the top and the 2 pictures on the bottom. As soon as I refresh the page, everything comes aligned with even space. Is it a known problem or do I have to submit it in the supporting forum ? Glad you found the tutorial useful! It sounds like a bug. Please report it to the support forum here. Hi. I’d like to change the order of the albums in the portfolio main page. This is, I want my wedding album to show first, and so on. How do I do that? Thanks in advance. 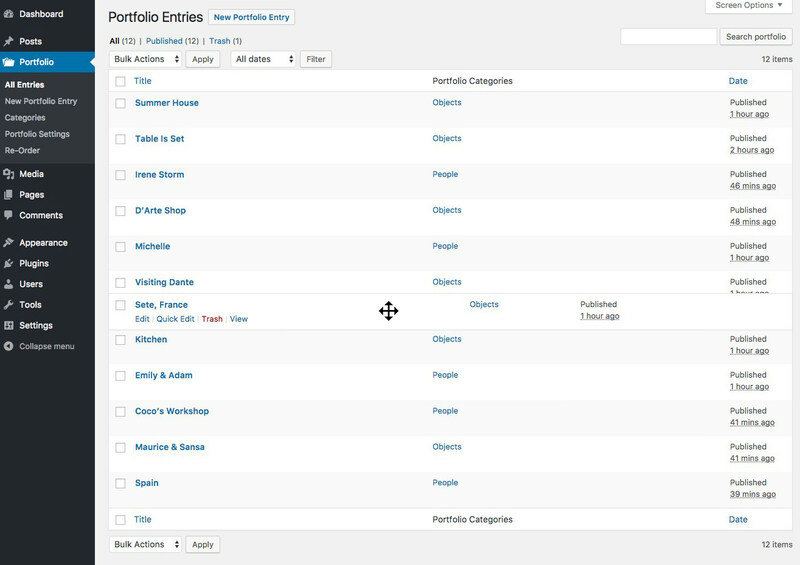 You can install a plugin to change the order of your portfolio albums. My personal favorite is “Post Types Order” plugin. First of all, I’d like to thank you for this fantastic theme and your kind support. I adore this theme, but I’d love to know whether there’s any way to enable HTML under Theme Options < Front Page Title. It's great we can leave a message on the front page, but there is currently no way to use HTML, or put any links in there. Good suggestion, post it in the parent theme support forum! I am running into an issue though. When I download the portfolio plugin it is not showing up as a page in the menu section, It is only showing up as portfolio categories and portfolio entries in the menu section. Go to Pages > All pages and see if you have a page called Portfolio. If not, create a new page, call it Portfolio, then go to Portfolio > Portfolio Settings and set your Home page to be your portfolio page. Finally go back to the menu and see if the portfolio page shows up now. Thank you for the post. I have a little problem. I did all steps to show different categories in my portfolio but in all of them we have a error 404 message. Do you know what can I do? I selected the categories in main menu, etc. Hi, it’s a really nice tutorial ! I have just one question, can we change the fonts or not? Hi! You can change fonts by installing a plugin called “Easy Google Fonts” or any similar plugin! Hi, great tutorial and theme. I have one question… How I can make Flyout Menus??? .. I want different Categories in my Blog and all one to have own Sub menu Button under the main Button “Blog”. 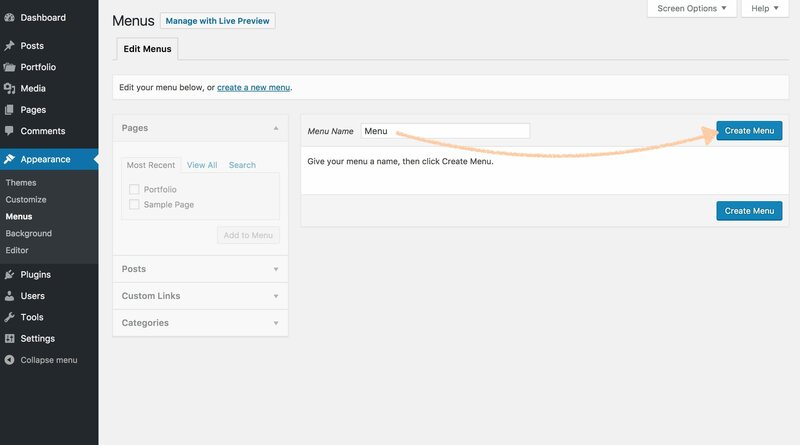 Hi Radko, you create a sub-menu just like in any WordPress theme. Here’s a tutorial that might clear things up for you! In the Appearance > Menus area you would use the “categories” tab to find all your blog categories. I am trying to add sharing buttons to the portfolio page. The plugins I have tried show buttons on regular pages, but not on portfolio homepage or other category pages added to my main menu. What could be the problem? Alternatively, I could place buttons with shortcode. I have installed the widgets plugin you recommended, but there is no place to put this shortcode as there is no page associated with category. How to go around it? Second question: is it possible to embed a gallery into a page / post? Super helpful tutorial! I do have question about the blog post featured image size in the post itself. Is there way to reduce the size somehow? Thank you! Awesome explanation, you have covered all deep details to create a website on WordPress. 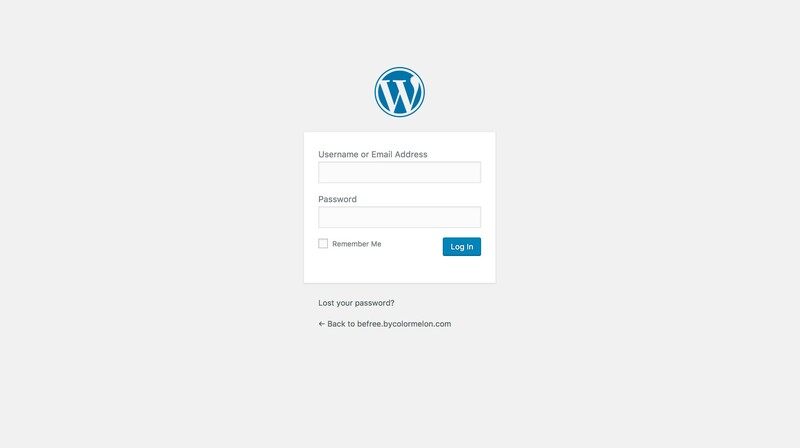 definitely, it will help to individual and beginners of WordPress. Hi! I love this layout, I’m having some issues with spacing though. There is a huge gap between the site header and the post title and also the post tile and the the photo gallery. Wondering if there is a way to get rid of both of these gaps on all my pages? Also wondering if there is a way to make the gallery take up more width on the page? There seems to be a lot of white space on the sides of the galleries. -The gap between your site header and page header comes from your theme’s styling of .wp-custom-logo .site-header. The site header has been defined to have an 80px margin at the bottom. -The gap between your page header and the content comes from your theme’s CSS definition for .page-header, which is set to be at least 250px high with an additional 100px margin at the bottom. This additionally compounds the gap in the previous point. -Your content is set to be only 560px wide via your theme’s definition for .section-inner.thin. Photonic takes up the whole space – it is just that the space your theme gives is quite little. Can you help me override these settings so that my galleries look better? Thanks so much in advance! Thank you for the great tutorial. I was wondering, I want to make the images in my portfolio clickable to go to a purchase page. Can this be done? In this guide, we’re using a portfolio plugin for the gallery. It’s meant to showcase your work. If you need to go to a purchase page, instead of using the “Easy Photography Portfolio” plugin consider using “Easy Digital Downloads”, “Woocommerce” or a similar e-commerce plugin instead. Without seeing your website I can’t say what’s going on with your portfolio. Please go to our theme support forum and create a new support topic there. I can’t see the image of each portfolio, even if the adresse is the adresse of the page of one portefolio, it is always the main page that i got. Hi Tanita: We love the template. The site turned out really well. We are now thinking about adding a shopping cart. I don’t see anything that says the template is compatible with that functionality. If it is, do you have one you recommend? Also, is there a way to load small images and click on them to show larger versions? Happy to hear that your website turned out well! I haven’t tried to add e-commerce to this template but it should be possible. I suggest you try out WooCommerce. You would need to install the WooCommerce plugin onto your website and then create a shop section with all the items that are for same. Regarding clickable small images, it depends on where you want to place those. I guess I need a bit more context here. I love the theme, I have only a problem with the portfolio settings, or this step: Go to Settings > Reading. Select your Portfolio as your Front page and click the “Save Changes” button. This is not working or doesn’t goes automatic. So I can create a portfolio only is this page not at the front page. Please go to the official theme support forum and create a new support topic there! Currently I´m working on my portfolio page, but I have a doubt with editing the width of my images of each entry. I want them as big as your example of Contact Page, but can´t find how to do it. I tried to follow the steps of the Hamilton Style Guide to displayed the images wider than the content column on desktop without succesful. I think you’re mixing up a portfolio page and a regular page. 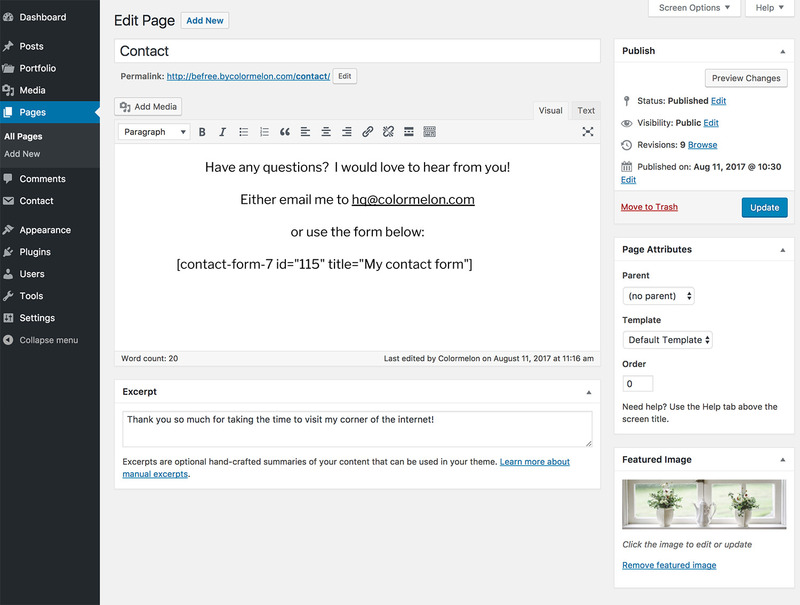 You can create extra-wide images in regular pages, such as a contact page or your about page. The portfolio page is a different matter, it has a 2 column layout, exactly like in the demo, so you can’t create a single column with wide images in your portfolio page. I would like to have a link from my image (when it’s open for viewing in the lightbox) to a page with details about this image. Is there anyway I could have such a link? I tried to put it in the description, but even though I get clickable link, the text that is linked is not visible. Is there a good way to create a link to a page from within image viewing? Sorry to say that Lightbox galley can’t have links there. It was designed to keep you viewing the galley. Adding a link there would make the visitor leave the gallery and then it would be hard and somewhat confusing to get back to that gallery again. I love the simplicity of this theme & have been super happy with it. Also thrilled with the tutorial. One question though … why doesn’t the home page load correctly on mobile devices? Is there any way to fix that?? Also when I click on http://www.lnpropertiesllc.com from my Instagram account it again doesn’t load properly. What could be going on there?? Just wanted to start by saying this theme is a-ma-zing! I do have a couple questions I hope you can help me with. – Is there a way I can make the portfolio the same width as the logo+menu in all the pages? Glad to hear that you found our tutorial useful! Something is not working for me, In the “Portfolio Settings” the portfolio home page is set to “none” and I’m not able to change it, In the drop-down, there’s no other option. And I think its because of this problem also that in the “Appearance” – “Menus” I’m not able to see any items under pages. But I really like the minimal look of your theme and I want to use it, can you help me with that issues, please. 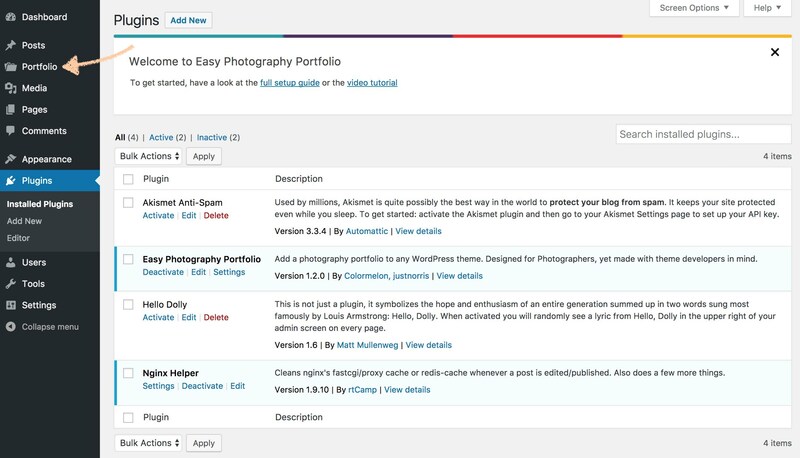 If you don’t see a portfolio page in the Portfolio Settings, then you need to create one. Go to Pages > Add New. Create a page called “Portfolio”, don’t write anything in the content area, just leave it as is. 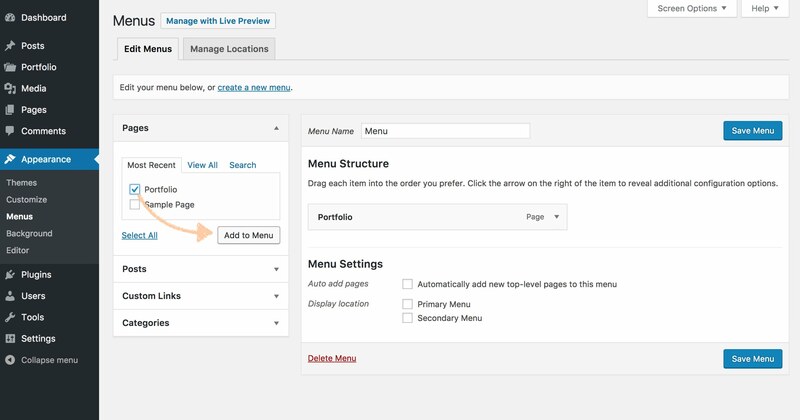 Now go back to Portfolio > Portfolio Settings, set the Home page to your new portfolio page. It’s amazing that you have taken the time to make this incredible tutorial and answer all these comments to. It is very much appreciated. 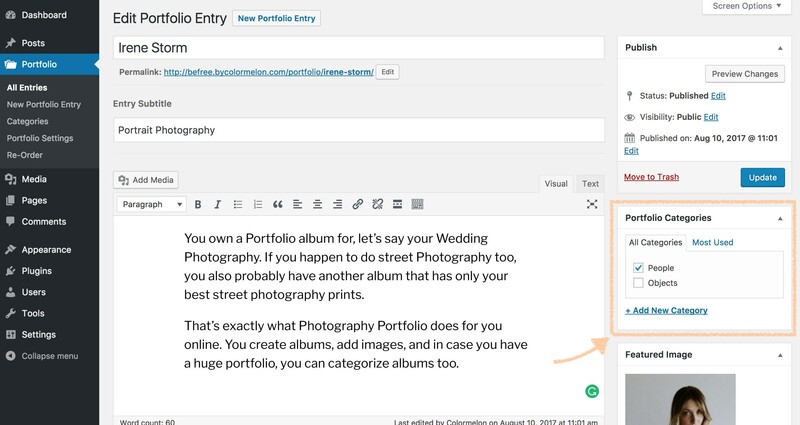 When creating a Portfolio entry is it possible to remove the ‘Paragraph’ area and even the subtitle. I would love to just see the images when viewing the portfolio. If the paragraph area in the ‘Edit Portfolio’ page is left empty then the problem is there is a big blank space at the top of the portfolio page before the images appear.